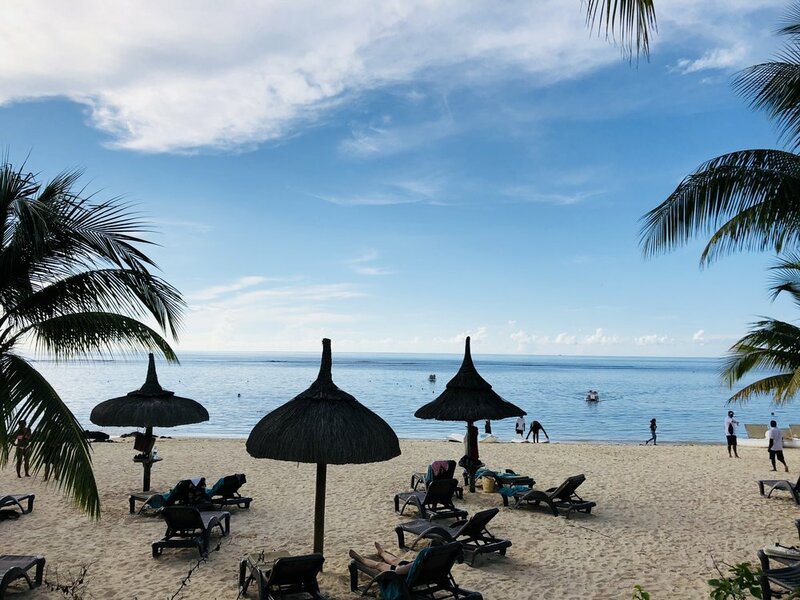 We stayed at Victoria Beachcomber Resort & Spa, a 4.5 star hotel based on the north west coast of the Mauritius island, between Grand Baie and Port Louis - facing the most incredible sunsets you will ever see, I can now understand why this resort is one of the most popular for families in Mauritius. The hotel has 1 very large pool, starting around 0.5m (so my 3 year old could stand on the one side) and not too deep in most areas which is great for the whole family. There is a shallow kids pool below the main pool (water runs over from big to small) and this is fabulous for the babies & toddlers to enjoy themselves in. When booking, you have the option of Half board (breakfast & dinner) or Full Board (Breakfast, lunch, dinner, snacks & drinks all included) - see more about this under 'food' section below. Pool aerobics almost daily, around 11am - super fun staff, great music & a good workout! 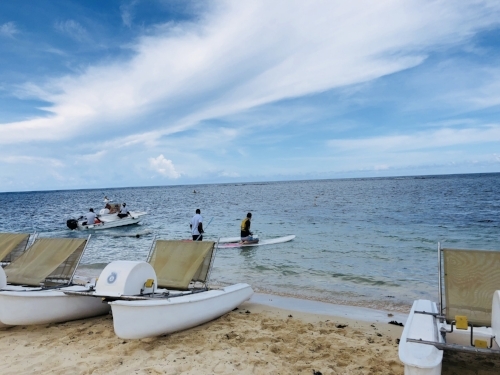 Snorkeling (daily at certain times - taken by boat to a gorgeous spot, 3-4m deep & breathtaking) or simply enjoy snorkeling around the shore of the hotel! Oh boy - the best part of our trip!! Haha, which parent wouldn't love a kids club so they can enjoy some adult time to soak up the sun in peace. The Kids Club is from ages 3-12 (above 12 can join the teens club) My youngest was 3.5 at the time, eldest 4.5 & both had an absolute blast. The club is complimentary, you just pay for lunch 300MRU for each child if you are on half board. Dinner is free for all. Water is always available at the kids club & they also have lollipops & other fun snacks. You are also provided a waterproof plastic backpack type bag per child, they are fantastic for the whole stay for all those wet items! And you send your kid to the club with their swimming gear, towel, googles, teddy / pacifier etc. Babies are also catered for - A baby care room located off the reception area allows parents travelling with babies to access all the basic items to take care of their children during their holidays. A bottle warmer, sterilizer, changing table, refrigerator filled with yoghurts, fruits and biscuits and homemade "purees” ready in only a few minutes. 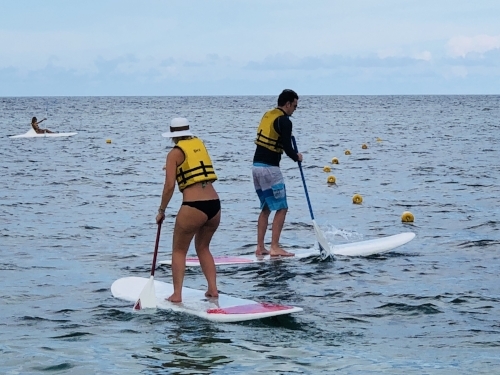 We decided to go with Half Board, and we just ordered sandwiches, pizza or fruit plates to the pool when needed during the day, or room service lunch in the room if the kids needed a nap. It worked out well for us & that way we also had the flexibility to eat out the hotel on an outing if we pleased. There is one main restaurant Le Superbe - this is where the Breakfast, Lunch & Dinner buffets are served. It is large, well located & very beautiful in the evening around the pool. The breakfasts finish at 10h00 & they start clearing up fast, so be sure to get there timely & don't oversleep like we did a couple mornings! 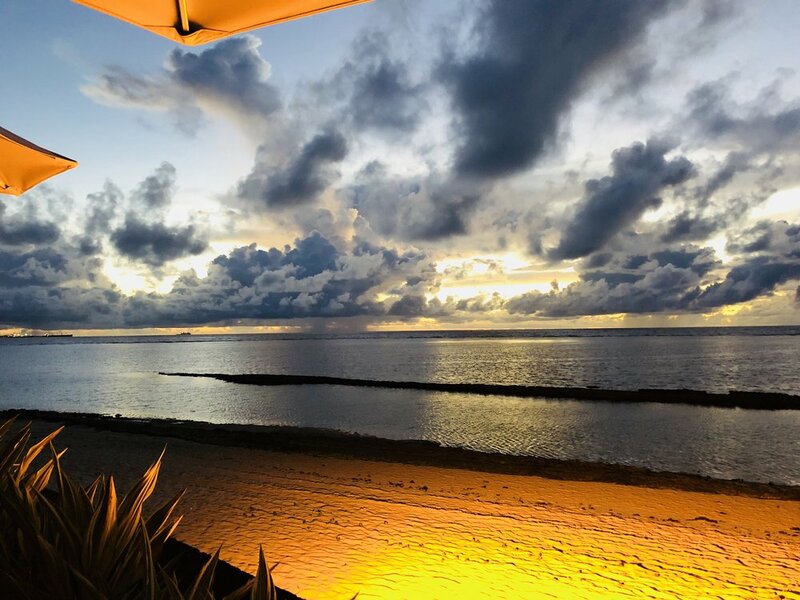 The Italian restaurant La Casa - the most beautiful views of the ocean, and Port Louis - try get a reservation for sunset & you'll be totally blown away. Also open for lunch 12h30 - 15h00. The breakfast buffet had all the offerings, large variation, but of standard quality - good but not amazing if you're used to 5 star standards. Try a couple nights at the dinner buffet, they change the theme nightly so you get to experience different foods from around the world which was fabulous. All in all I cannot recommend this hotel enough - It was an all round amazing experience for both us & our boys (aged 3.5 & 4.5 at time of travel) A good value for money resort. I'll leave you with some extra pics below, to share in our special moments. A huge shout out to the staff - from the cleaning crew, to the serving staff, the reception & kids club - everyone was energetic, friendly & very welcoming - Thank You from us over at Our Mummy Life in Paris (Brocklehurst Family) we will be back! Id love to hear from you, leave me a comment or any questions below.